The Officers' Mess at CFB Esquimalt exists to build esprit de corps and comradeship, and to provide entertainment, goods, services, and amenities to its members. 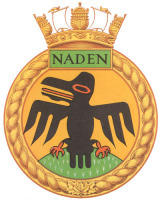 This Mess has a vital role in fostering the traditions of the Canadian Armed Forces and in particular the customs and traditions of the Royal Canadian Navy. Therefore, wherever feasible and desirable, Naval customs will be used and practiced in the Mess. The physical facilities consist of five managed areas in two buildings. Three are part of the Officers' Mess, managed by the Mess with assistance from the Morale and Welfare Services organization: two lounges in the Signal Hill building, known as the "Wardroom" (upper and lower lounges), and the third at Work Point, known as the "Gunroom" - all three are reserved for Officers. The other two areas are in the Signal Hill building and are managed by the Base Administration Branch: accommodations (Sgt/PO2 and above), and the dining area (mixed rank dining). Wardroom Upper and Lower Lounges - Operated as Non-Public Property bars and lounges for Members and their guests, and visiting Officers. Gunroom - Operated as a Non-Public Property bar and lounge, specifically for the professional social development of junior Officers in training. Open to all Members and their guests, and visiting Officers. Dining Room - Operated as a Public Property all-ranks dining room. Accommodations - Operated as a Public Property housing area, normally for Sgt/PO2 and above.